Jonathan Rea faces a long period of recovery after undergoing surgery on the wrist fracture he sustained in the morning warm-up ahead of the World Superbike round at Misano. Rea underwent surgery to repair a radius fracture in his right wrist and afterwards learned that the injury will take longer than expected to heal. "Disapppointing news - a lot more damage than expected in wrist. Good news is that it's all repaired but will be a long road to recovery," said Rea, who also broke a foot and collarbone. The Isle of Man-based rider sustained the injuries in a 140mph crash on turn eleven on Sunday morning. The Castrol Honda rider currently lies eighth in the championship standings, 151 points adrift of series leader Carlos Checa. Rea had hoped to return at Brno in the Czech Republic on 10 July, but that target now appears unrealistic. 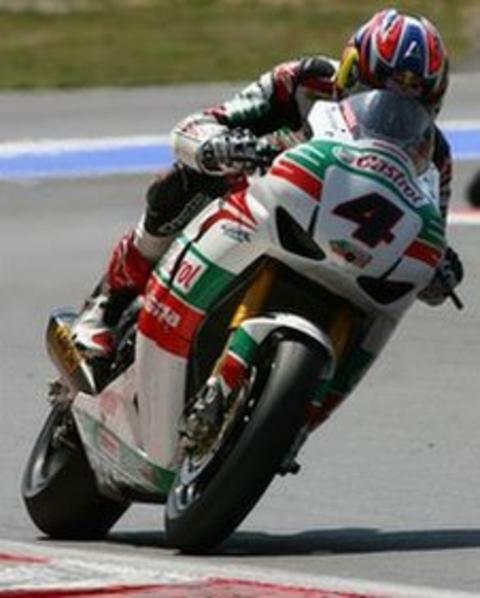 He will definitely miss the seventh round of the championship this weekend at Motorland Aragon in Spain.